Bulletstorm in my humble opinion is one of the best games of the past decade and is in my all time top five games of all time. The game features some of the most innovative ideas and concepts of any game and this coupled with the revolutionary graphical content and game play earns this one five stars from me. 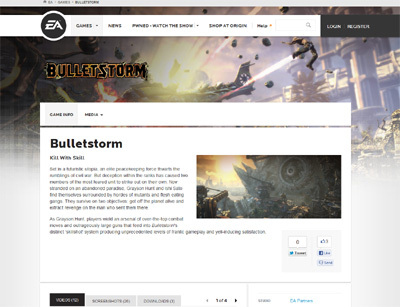 We have also compiled a Review System for this, of which Bulletstorm is Rated as Five Stars, the highest possible score available from the Game Review Team.